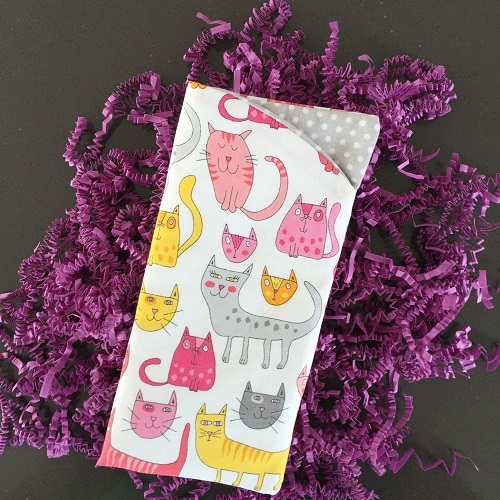 This is the cutest glasses case made exclusively for My Purrfect Gift Box by LukieDukie in the USA. It has a fun cat themed print front in pinks and greys with a grey and white polka dot lining. Fully padded to protect your glasses or sunglasses. Pair it with our cat eye sunglasses for the purrfect match (see separate shop listing)!